PBS Nova on Wednesday night Sept. 28 aired two hours of film on the Japan earthquake and tsunami. The first hour was a rebroadcast, “Japan’s Killer Quake”. It showed actual footage in Tokyo of the duration of the quake, which was much longer than usual for any quake. The film depicts liquefaction of soil in Tokyo, with the emergence of water from the cracks. he resulting tsunami is explained, and depicted as a “glacier of debris”. A three-foot wave hit Hawaii with plenty of warning but did enormous damage to low-lying areas. It even reached the California coast. 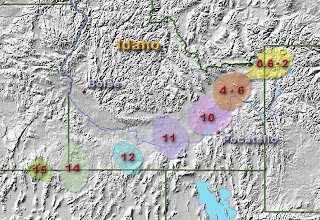 The tsunami also pushed rivers uphill and produced a salt-water lake in lower sections of the mountains. In one town, a thirty-foot retaining seawall fails because the ground sank three feet in the earthquake. The inability of the electric utility to cool the nuclear power plant because of power failure is briefly explained. Here is the link for the first hour. The second hour is called “Surviving the Tsunami”. It provides harrowing, by-minute accounts of people caught by the tsunami when they went back to check on their property. The film would use a red circle to show the location of the person in danger and actually stop for a moment. The mechanics of the tsunami are explained in more detail. The tsunami was “gradual” and exacerbated by a hard layer of undersea sediment, which hides many small faults. This “stratum of sediments” structure can make a tsunami larger -- in this case, sometimes over 30 meters. Is this a lesson to be learned in looking at the Cumbre Viejo volcano in the eastern Atlantic, since it could send a huge tsunami to the US East Coast? In one town on an inlet, residents could not see the tsunami until it was already upon them. Parents were caught at an elementary school rescuing kids, and police were surprised by the approach of a “debris glacier” when they went to respond to earthquake-caused accidents. The film has truly graphic footage, shocking in high definition. MSN today is promoting a Discovery Channel “Curiosity” video narrated by Samuel L. Jackson, “World’s End”, with a focus on the Mayan date of Dec. 21, 2012, and then a recognition that scientists believe there are five particular disasters that are most likely to eventually recur. They are (1) a hypercane or super storm (2) a mega quake (3) a supervolcano (4) a mega tsunami, like Cumbre Vieja in the eastern Atlantic, or (5) an asteroid or comet. The only direct URL seems to be this. 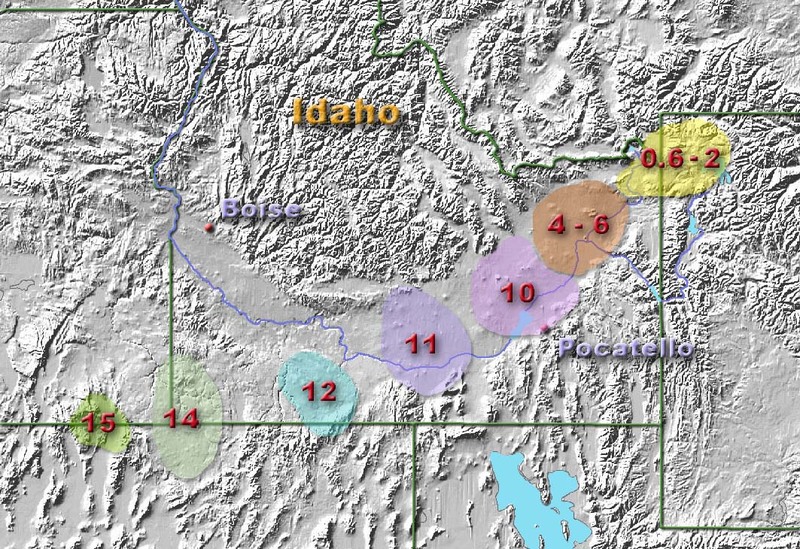 A second video, “Looming Disaster”, documents how Yellowstone could blow up with a supervolcano, starting with earthquakes, followed by multiple volcanic eruptions, leading to one big super eruption, that kills 90% of the population in western US. Then with the one-minute “Do Parallel Universes Exist?” Morgan Freeman examines the possibility that each of us has multiple copies in other universes with different outcomes. CNN, Time, HBO: "Beyond 9/11: Portraits of Resilience"
Saturday Sept. 10 CNN is airing twice the HBO 55-minute documentary “Beyond 9/11: Portraits of Resilience”, produced with Time Magazine. The film comprises a series of interviews by Kate Pickert, Paul Moakley, Kira Pollack and Mark Thompson. Interviewees include former president George W. Bush, whose remarks are similar to those on his Dateline interview, and Cantor-Fitzgerald president Howard Lutnick, who was also interviewed by Piers Morgan Friday (TV blog). It does start with the account of someone in a nearby building who heard the first crash, and it also describes some escapes by employees from upper floors. Later, Donald Rumsfeld describes the "Dark Winter" war game where smallpox is carried into three different locations in the U.S., considering the fact that we have stopped smallpox vaccinations as public health policy. Tom Brokaw talks about the anthrax incident in 2001, including an employee who exhibited symptoms but who had been treated with Cipro in time. The HBO link is here. The director and film editor is Phillip Schopper. Afterward Sanjay Gupta aired “Terror in the Dust”, on the cancer risk from responders who inhaled WTC dust. I recall that director Steven Soderbergh, a few years ago, after accepting an Oscar for “Traffic”, thanked writers for making movies possible. That’s prescient for a subplot of the docudrama “Contagion”, the new Warner Brothers and Participant Media “thriller” which, released 9/11 weekend, credibly convinces us that H5N1-style bird flu viruses could deep-six western civ. Actually, I’m ahead of myself. In the movie it’s called MEV-1, as if to warn us that new animal-related flus could crop up too suddenly for us to catch them. Indeed, in the film’s epilogue, there’s a clever preamble for “another” pandemic, just after “this” one is somewhat controlled. The “powers that be” do quick-step to a vaccine and get it to the public in stadiums, after a number of major cities are in shambles from corpses and rioting. It’s hard to believe that a society so sacked could recover at all. The movie does start out as a “conventional” thriller with plot. Beth Emhoff (Gwyneth Paltrow) calls her hubbie (Matt Damon) stay-at-home papa-ing in Minenapolis from Chicago O’Hare. She is tired from her trip from Hong Kong. At home, about to cook Thanksgiving dinner (there’s already snow in Minneapolis, which doesn’t always happen then – I lived there for six years), she collapses with a seizure. Pretty soon she’s gone. So is one of her kids. Mitch (Matt Damon is just starting to look ripe as he enters his 40s) is kept in isolation, but doesn’t get sick. Is he naturally immune by genetics? Trouble is, the movie changes to Frontline-style documentary mode for much of the rest of its 102 minutes. Lots of people come down with fever, cough, and seizures and die in hours. This flu invades the brain as well as lungs (the “real” bird fly may affect the spine but tends to the GI track besides the lungs). Laurence Fishburn (looking like Neil deGrasse Tyson) plays the CDC head, who is sending researchers all over the world to get specimens and get kidnapped, or others, like Dr. Mears (Kate Winslet) just to get sick themselves. He may have an ethics-violating collusion with the pharmaceuticals, to be uncovered by guerrilla blogger Alan Krumwiede (a grizzled and slightly aging Jude Law) in San Francisco. If Alan were as high-minded as Julian Assange, that would make for better story. But he winds up trying to see a homeopathic remedy, Forsythia, to prove you can really get rich by just blogging. There is an early scene where he is told that “blogs are graffiti with punctuation” and that he isn’t even a real “writer”. Krumweide claims he is a “journalist”, but a true journalist isn’t supposed to be on the take either. Soderbergh must want us to think about the “amateurism” issue and the role of underground speech and publishing in “keeping them honest”. Krumweide will be set up and arrested; in fact, a few bloggers have been prosecuted for insider trading (going as far back as 1999), and the FTC is supposed to be making them disclose when they’re paid or given samples to review. There's a scene where Emhoff's family resents the authorities' insistence on cremation of disease fatalities, no burial. But later cities are shown with mass graves and lime resembling the Holocaust. There's an interesting concept of "R-0 number", the expected number of people to be infected by one person with a contagious disease through ordinary "casual contact". Here is WB’s official site. WB used its Casablanca musical trademark this time, most welcome. The film is shot in “only” 1.85:1 (Soderbergh seems to prefer that) but is still shown in Imax in a few theaters. The story takes place in many cities. Many actual streets (like Lake and Lyndale, a famous intersection) in Minneapolis are mentioned, but I didn’t recognized any of the actual city (as I did with “Tree of Life”); I think Chicago was used for the snow locations. Atlanta, New Orleans and San Francisco are used, and some of the scenery in Hong Kong and in mainland China is most effective. The film can be compared to ABC's "Fatal Contact: Bird Flu in America" (2006) or Daniel Percival's "Smallpox 2002: Silent Weapon" for Fox. We can compare the substance of the film to the experience with SARS in 2003, and later H1N1 in 2009-2010, which has turned out to be pretty controllable. I could say it's inexcusable that we haven't done more work on an H5N1 vaccine, since H5N1 could probably erupt at any time ("the birds are doing that"). But H5N1 could be too variable to make a reliable vaccine. The film mentions "social distancing" as a containment strategy, along with economically destructive curfews and quarantines. The new virus, researches say, is spread by "foamites" (surfaces). There's an interesting explanation of how the "handshake" evolved: as a way of proving you didn't carry a gun. A "High 5" is a lot safer, and less affectionate. We could also compare this movie to Wolfgang Petersen's "Outbreak" (1995) (Warner Bros.), which was actually shown to an AP chemistry class in Fairfax County VA when I substitute-taught. Less convincing would be a comparison to "Robin Cook's Virus" directed by Armand Mastroiana, a TV film, or the overlong Hallmark film "Pandemic" from the same director. See also story on "artificial" H5N1-like virus created in lab and controversy over publication on my Issues blog, Dec. 20, 2011.